Fire, smoke, and soot can cause significant levels of property damage at a moment’s notice, and for days following the initial event. 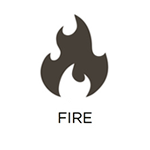 At RestorationMaster, we address these complications through our fire damage restoration services. As soon as the fire is extinguished, we can begin the restoration process to rebuild and repair your building and its contents. We offer these services to property owners in Shaker Heights, OH. Property owners in Shaker Heights, OH, can count on RestorationMaster to resolve any problems involving excess water and moisture throughout the year. 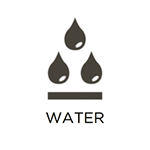 Whether it is due to a frozen/burst pipe, sewage backup, severe storm, or similar event, our technicians will utilize state-of-the-art water extraction and drying equipment to remove the water. We will then restore your building and its affected contents through our water damage restoration services. The buildings of property owners in Shaker Heights, OH, are exposed to all four seasons. While this can result in beautiful scenery throughout the year, it can also lead to potential property damage at any time. 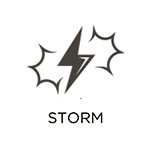 At RestorationMaster, we respond rapidly to provide building stabilization and board up services through our greater storm damage restoration services. The overall goal is to protect your property until more permanent fixes can be made. 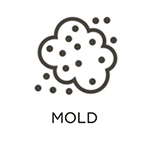 Mold is notorious for how easily it can appear and spread in places like Shaker Heights, OH. This is largely because of the excess moisture that can result from the type of weather and events common in the area. Blizzards, burst pipes, severe storms, and more can all lead to excess water in your building, which can then encourage the growth of mold. When this occurs, it is important to get it removed as quickly as possible. At RestorationMaster, we swiftly remove mold and restore affected materials through our mold remediation services. When severe accidents or crimes take place on your property, the results can be shocking. Not only is property damage a very real possibility, but the presence of biohazard materials (such as blood, bodily tissues, and more) can present a real danger to your health. At RestorationMaster, we offer trauma and crime scene cleaning services to remove these harmful materials, and return your property in Shaker Heights, OH, to its original condition. 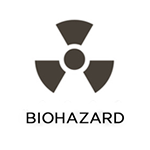 Biohazard materials include substances such as blood, sewage, chemicals, and other elements that can pose a severe risk to the health of anybody exposed. They commonly spread illnesses and infections that can be extremely dangerous. If these materials make an unexpected appearance on your property, we encourage you to utilize our biohazard cleaning services. At RestorationMaster, we abide by strict disposal regulations to remove biohazard materials, and will return your property in Shaker Heights, OH, to a safe, sanitary condition. Fire, smoke and soot, water damage, and mold growth can all be devastating in commercial settings. This is because of the scale involved, and the fact that the affected organization will need to close their operations to deal with the problem. At RestorationMaster, we offer commercial restoration services to property owners in Shaker Heights, OH. Through these services, we will address any type of property damage that occurs to your building and its contents and return your business to normal operations efficiently and effectively.